I’m clearly riding the Etude House love train at the moment. I just watched their latests ads for their brand new Etude House Color in Liquid Lips (it was released in Korea on the 29th Jan!). Don’t they look cute? As usual we’re presented with some seriously gorgeous bright palettes to feast our eyes on *drools*. 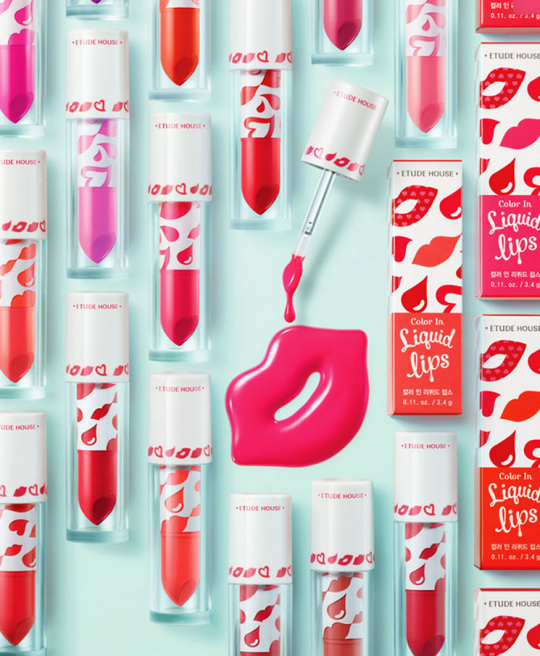 Here are the swatches for the Etude House Color in Liquid Lips which go from the sweetest pinks to the deepest reds. I really like the looks of the PK005 and PK005. They look super pretty and natural. I wonder if they last long though? I tend to find glossy lipsticks just disappear after an hour or two. And if you needed to check out what the liquid lips look like on your arm then here you go! They give off a nice sheen. And just because she’s pretty, have some Krystal! 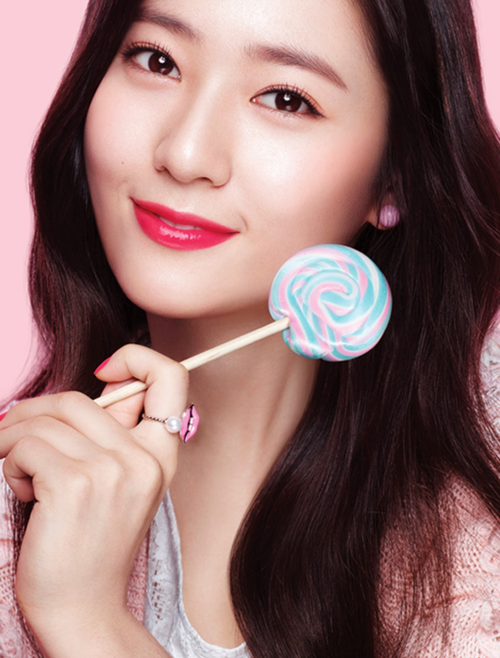 And the lovely etude house ads in question! I wish they’d make the backing track available. I’d leave it on and pretend I was living the etude house life! I’m presuming it’s Krystal singing. She sounds a lot like Jessica. What colour would you go for?